This month, ActionAid’s Melissa Bungcaras has appeared as a guest on Cufa’s podcast series, Conversations in Development. The series delves into issues surrounding foreign aid and social change, exploring diverse themes in the international development field including voluntourism, child labour and microfinance. The episode, Climate change, disasters and women, was released on Monday 26 November with Melissa appearing alongside Cufa’s CEO and podcast host, Dr Peter Mason. Together they will discuss climate change, natural disasters and the effect of these on women. With the effects of climate change increasing the amount of natural disasters occuring across the globe, a number of vulnerable groups have been impacted. Women are one of the groups that have been affected and this will continue to become a more prominent issue moving into the future. Melissa is the Gender and Resilience Manager for ActionAid Australia. She is currently managing a portfolio of programs across the Asia-Pacific focused on women’s resilience to climate change and disasters and drives policy advocacy on climate justice and women’s leadership in emergencies. 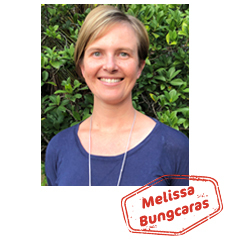 Melissa has over 10 years’ experience in international development and environmental management, primarily in the Asia-Pacific region. The episode examines how gender inequality becomes lethal in natural disasters where women die in far greater numbers than men. Patriarchal systems often leave women responsible for children and elderly people in a disaster and exclude women from accessing information that could save their lives. Melissa describes how and why women should take a leading role in disaster preparedness planning and how aid agencies and governments both have a role to play in reducing the gender gap. Get up to date with this podcast by listening to the previous episodes. Simply search “Conversation in Development” into Apple Podcasts or your favourite podcast streaming service. Episode 7 on climate change, disasters and women streaming from Monday 26 November 2018.